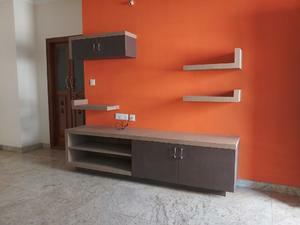 RESIDENTIAL BUILDING FOR SALE @ ARAKERE BANNERGHATTA ROAD. 40x67 - 2680 Sft with G+5 Floors, Built Up Area 12500 Sft Total 2 BHK 9 Portion with Attached Washroom, Semi-Furnished with TV Cabinets and Wood Work with Multiple Cabinets with Lofts in Kitchen Area, Separate Sink in the Dining Area, Granite Flooring, Piped Gas Line in the Ground Floor Area, Water Source Cauvery & Bore well. All 8 Flats Vacant Ready to Move-in Brand New). Located @ Arakere off Bannerghatta Road. Covered Parking, Lift, DG Set Power Back up & Security.